Cards put out by SFX magazine several years ago as part of their card game called SFX Sci Fi Trumps. 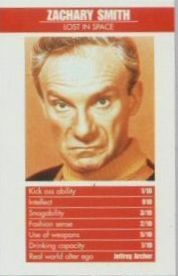 This card features (Jonathan Harris) as Zachary Smith from Lost In Space. Card in excellent condition.